The Precision Timing Board includes a Microsemi/Symmetricom SA.45s Chip-Scale Atomic Clock (CSAC) module and a u-blox NEO-6T-0 precision-timing GPS module with low-jitter PPS to allow syncing (and with future firmware updates, disciplining) the CSAC from GPS. The board also includes supercapacitors to maintain the CSAC timing state during vehicle power cycles. 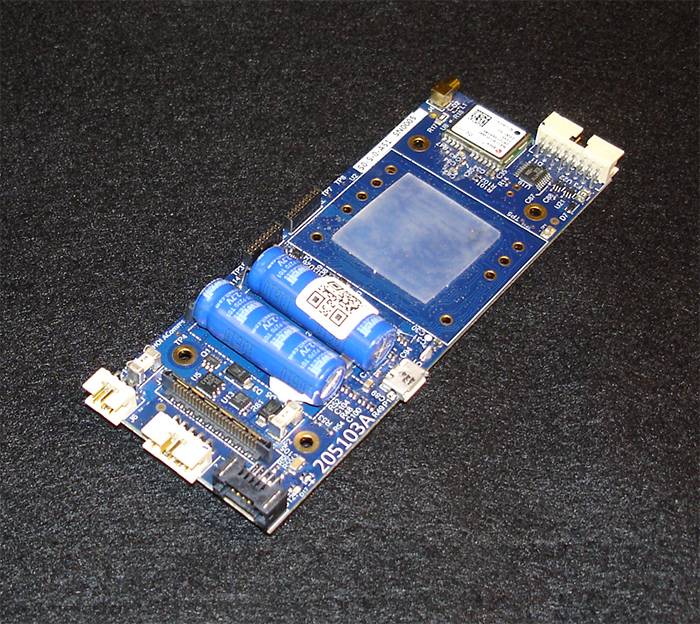 The board includes a low-power microcontroller and FPGA to control the CSAC and GPS, as well as allow for custom applications. The board includes an Ethernet interface to allow future firmware to support a Simple Network Time Protocol (SNTP) server. 205103-ASM details mechanical dimensions, connector locations and pinouts. Applied Ocean Physics & Engineering Dept.